Accesa is honored to have participated at the Midsize Enterprise Summit (MES) West 2016 Conference. 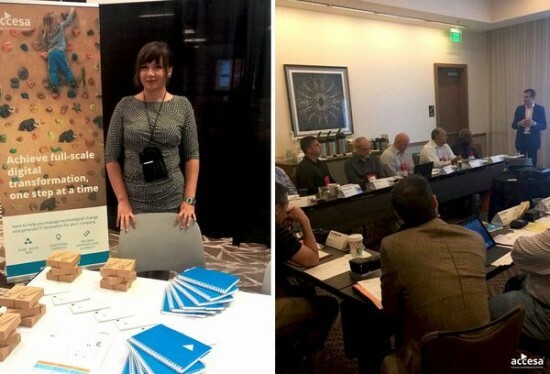 The event took place between the 18th and 20th of September in Austin, Texas, and created an excellent context to get into details about the challenges IT executives deal with today and discuss how we can help them make the most of any opportunity in the new digital business age, in order to exceed their organizations’ digital goals. Gathering 200+ midmarket CIOs and senior-level IT decision-makers, MES is considered to be the executive event of the year. CIOs and IT executives met with more than 60 top technology vendors, representing midmarket IT leaders, and Gartner industry analysts to establish new contacts and discuss technology’s role in the midmarket landscape. For both company representatives and technology vendors, MES is one of the best ways for gathering information about the latest technology research, trends, products, and services. It creates the right environment for exploring opportunities and developing strong business partnerships in the midmarket community, accompanying its participants on the road towards becoming “The Connected CIO”. Accesa has been selected to participate as an established company within the Romanian delegation organized by the Romanian Association for Information Technology and Communication (ATIC). We were represented by our colleagues Paul Hrimiuc and Claudia Revnic, who welcomed the visitors at Booth 600 and gave a presentation in three boardrooms to interested groups. As Garner says, digitalization is moving from an innovative trend to a core competency. Simultaneously, digitalization is optimizing business models and opening up new market opportunities and, since it is also transforming businesses, the IT executives’ agenda reshapes. Putting this into perspective, Accesa engaged at MES in a discussion about the challenges IT executives have to deal with in the new digital era, such as ensure the reliability of the IT operations, launching new products faster and innovate. We eventually pointed out some answers to those challenges, the opportunities they are bringing and how they should be approached. Determined by CIOs and senior IT executives attending the event, the MES XCellence award highlights the best midmarket products, services, programs, and presentations. By being nominated for the top international vendor award, Accesa continues to demonstrate its commitment to providing innovative solutions designed to accelerate ROI for the midmarket. MES and Accesa, on the way to establishing a tradition? “MES is definitely an event we would look into again. 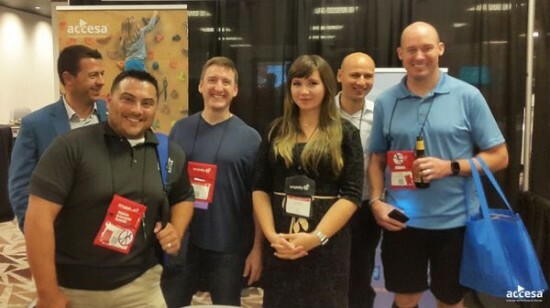 It gathers IT executives and vendors in a well-organized environment. It is big enough to make networking potential a primary interest for vendors but personal enough to facilitate a business connection that could trigger a long time partnership. mentioned Claudia Revnic, Business Development Executive, Accesa.